Amelia Martha (Millie) Best MBE (29 April 1900 – 14 November 1979)  was one of the first two women elected to the Tasmanian House of Assembly. The House of Assembly, or Lower House, is one of the two chambers of the Parliament of Tasmania in Australia. The other is the Legislative Council or Upper House. It sits in Parliament House in the state capital, Hobart. Best was born in Lower Barrington, Tasmania, Australia. She ran an arts and crafts business in Launceston and was involved in the Voluntary Aid Detachment (VAD) Canteen Services during World War II. 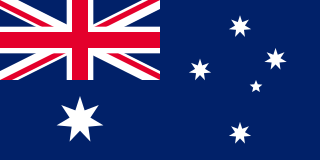 Australia, officially the Commonwealth of Australia, is a sovereign country comprising the mainland of the Australian continent, the island of Tasmania and numerous smaller islands. It is the largest country in Oceania and the world's sixth-largest country by total area. The neighbouring countries are Papua New Guinea, Indonesia and East Timor to the north; the Solomon Islands and Vanuatu to the north-east; and New Zealand to the south-east. The population of 25 million is highly urbanised and heavily concentrated on the eastern seaboard. Australia's capital is Canberra, and its largest city is Sydney. The country's other major metropolitan areas are Melbourne, Brisbane, Perth and Adelaide. Launceston is a city in the north of Tasmania, Australia at the junction of the North Esk and South Esk rivers where they become the Tamar River (Kanamaluka). Launceston is the second largest city in Tasmania after Hobart and the Thirteenth-largest non-capital city in Australia. She was elected to the House of Assembly representing the Liberal Party in the seat of Wilmot in 1955. She lost her seat in 1956, was re-elected in 1958 and lost her seat again in 1959. Christine Anne Milne is a former Australian Senator and was leader of the parliamentary caucus of the Australian Greens from 2012 to 2015. Milne stepped down as leader on 6 May 2015, replaced by Richard Di Natale. Doris Amelia Blackburn was an Australian social reformer and politician. She served in the House of Representatives from 1946 to 1949, the second woman after Enid Lyons to do so. Blackburn was a prominent socialist and originally a member of the Labor Party. She was married to Maurice Blackburn, a Labor MP, but he was expelled from the party in 1937 and she resigned from the party in solidarity. Her husband died in 1944, and she was elected to his former seat at the 1946 federal election – the first woman elected to parliament as an independent. However, Blackburn served only a single term before being defeated. She later served as president of the Women's International League for Peace and Freedom. Millie Gertrude Peacock, Lady Peacock, was the first woman elected to the Parliament of Victoria. She was the wife of Sir Alexander Peacock, a three-time Premier of Victoria, and upon his death in 1933 won the by-election to replace him in parliament. She served only a single term, retiring at the 1935 state election. Dame Mabel Flora Miller, DBE was an Australian lawyer and politician. She was the first woman elected to the Hobart City Council and one of the first two women to be elected to the Tasmanian House of Assembly. From the turn of the 20th century, women have participated in government in Australia. Following federation, the government of the newly formed Commonwealth of Australia passed the Commonwealth Franchise Act 1902 allowing most women to both vote and stand at the 1903 Federal election. South Australia and Western Australia granted women the vote before federation, and the states of New South Wales, Tasmania, Queensland and Victoria also passed legislation allowing women to participate in government at the state and local levels following federation. Indigenous Australian women did not achieve suffrage at all levels of government and in all states and territories until 1962. The Tasmanian state election, 1998 was held on Saturday, 29 August 1998 in the Australian state of Tasmania to elect 25 members of the Tasmanian House of Assembly. The number of members was reduced from 35 to 25. The election used the Hare-Clark proportional representation system—five members were elected from each of five electorates. The quota required for election increased from 12.5% to 16.7%. Kathryn Isobel Hay is an Australian Labor politician and former member of the Tasmanian House of Assembly in the electorate of Bass. She was first elected in the 2002 election. The 1922 Tasmanian state election was held on 10 June 1922 in the Australian state of Tasmania to elect 30 members of the Tasmanian House of Assembly. The election used the Hare-Clark proportional representation system — six members were elected from each of five electorates. The 1955 Tasmanian state election was held on 19 February 1955 in the Australian state of Tasmania to elect 30 members of the Tasmanian House of Assembly. The election used the Hare-Clark proportional representation system — six members were elected from each of five electorates. Lisa Maria Singh is an Australian politician who is a Labor Party member of the Australian Senate for Tasmania. She was previously a member of the Tasmanian House of Assembly, representing the division of Denison from 2006 to 2010. The granddaughter of an Indo-Fijian member of the Parliament of Fiji, Singh is Australia's first federal parliamentarian of Indo-Fijian ancestry. Ivy Lavinia Weber was an Australian politician. There have been 35 women in the Tasmanian House of Assembly since its establishment in 1856. Women have had the right to vote since 1903 and the right to stand as candidates since 1921. Frances Mary Bladel is a former Australian politician. She was a member of the Tasmanian House of Assembly from 1986 to 2002, representing the seat of Franklin for the Labor Party. Denise Elizabeth Swan is a former Australian politician, who was a Liberal member of the Tasmanian House of Assembly for the division of Lyons from 1995 to 2002. Robert Wilfred "Bob" Baker was an Australian politician. Aretas William Overton "Bill" Young was an Australian politician. John Roy Fidler was an Australian politician. Charles Davenport Hoggins was an Australian politician. ↑ "The Parliament of Tasmania from 1856". www.parliament.tas.gov.au. Retrieved 2017-10-20. This article about a Liberal Party of Australia politician is a stub. You can help Wikipedia by expanding it.